Local people help visitors learn about their history and connection to North Dakota. 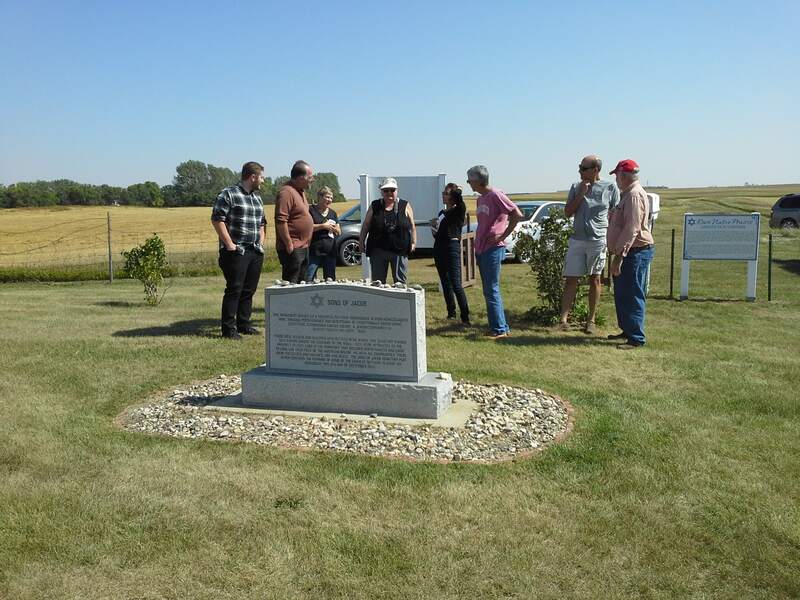 Jeff, Siobhan and Drew Calof visited with a number of folks from the Devils Lake area over the Labor Day weekend learning about their ancestors who homesteaded near Gar ske, ND, north of Devils Lake. The Calof family is shown here with Cathy Wolfe, Rick and Shirley LaFleur, Steve Shark, Donna (Shirley’s sister), Mike and Ellen Connor. 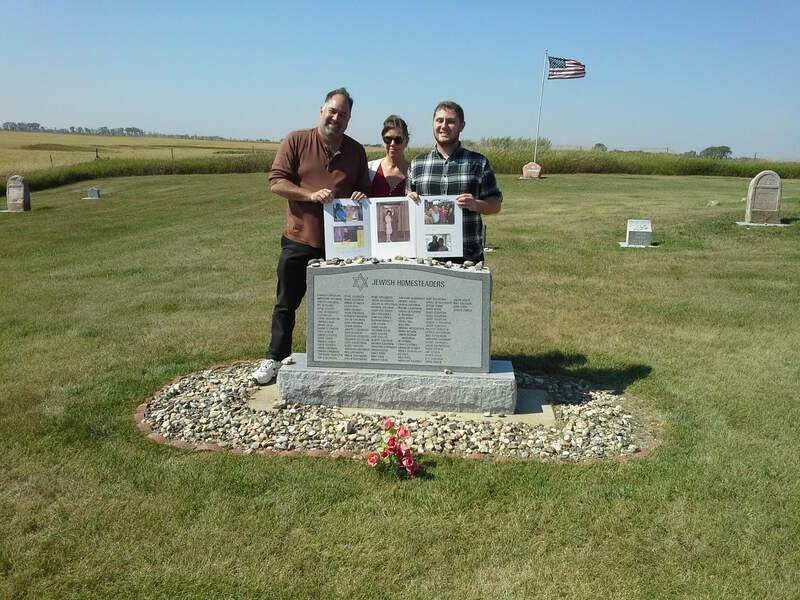 Jeff Calof brought his wife, Siobhan, and son, Andrew, to Devils Lake, N.D., over the Labor Day holiday, in search of his family’s roots. 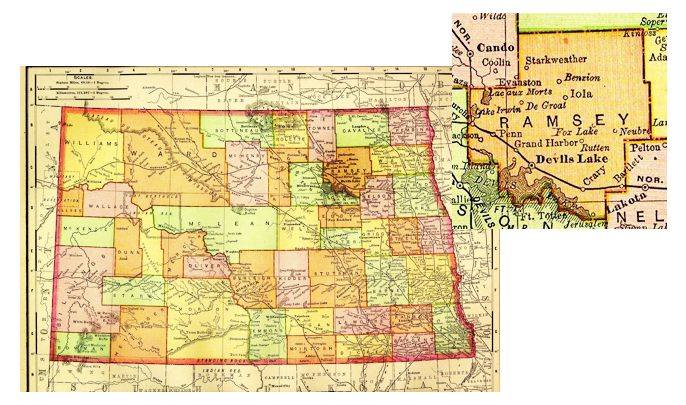 They ﬂew from their home in Orange County, Calif., to Chicago, then caught Amtrak to DL after getting in contact with individuals here who might have information to share about their ancestors who homesteaded near Garske, north of Devils Lake. 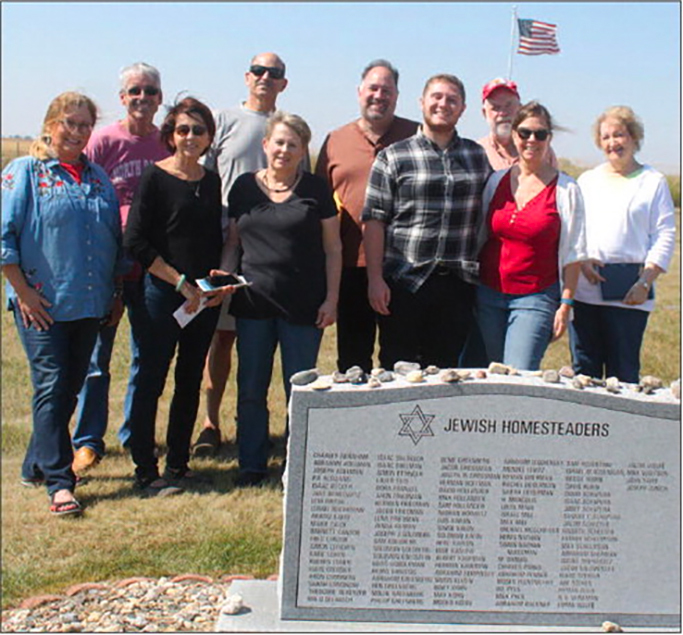 The group met with the family over a meal at a local restaurant, visiting and sharing with one another, then the next day, Monday, Sept. 3, the whole group met at the Sons of Jacob Cemetery and the Calofs were able to walk among the headstones of the graves of their ancestors, Abram Calof and Maier Calof. As a stiff late summer wind blew over the newly combined wheat ﬁelds that surrounded the cemetery each of the local people shared memories with the Calofs. Stories that they had heard from their parents or grandparents or bits and pieces gleaned as they did historical research on the settlement.